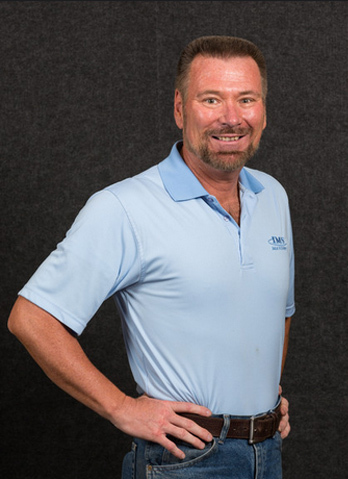 Odell already had over 10 years of experience in the masonry field before joining the IMS Masonry team in 2007. Early in his career he worked his way from a “mason tender” through a journeyman mason and into management where he aided in the launch of a successful masonry contracting company. His background is diverse and extensive in production, construction, management, process improvement, customer service, training, and safety. As a Subject Matter Expert and Team Lead on NASA’s Space Shuttle Solid Rocket Motor program for over nine years Odell performed safety inspections, mishap investigations, personnel training, team management, design of specific process improvements, and managed new process implementations. He received numerous awards for his abilities while working on the Space Shuttle program including several PRO Awards and the Superior Performer Award that was presented to less than 3% of the workforce. He created over 13 specific training courses, successfully investigated and implemented corrective actions on dozens of mishaps, and led a team of skilled technicians to meet and exceed all production goals while maintaining an exceptional safety record. During this time he also received his Bachelor of Science Degree in Business Management and Administration. This achievement created new and challenging opportunities. Odell later advanced quickly in the High Tech world culminating in nearly 5 years as the Worldwide Director of Manufacturing and Distribution for Macromedia (a leading publicly held software developer NasDaq:MACR). In this role, he was instrumental in increasing shipping efficiencies from 85% to over 98% in the European market for his company, he lead a team to implement a “just in time” manufacturing process that increased delivery times of major product lines by 40% and decreased costs by over 30% for his client, he lead a team that developed and implemented a warehouse processes that increased productivity 15% and reduced employee risk by more than 40% for his vendor’s manufacturing facilities in Europe, Asia, and North America. Furthermore, he and his team were the first non-sales people to receive Macromedia’s Revenue Club Award for their contribution to the overall profitability and stability of the company. Odell has since returned to his first love of masonry with a unique and progressive perspective that allows him to focus on continuous improvement and true solutions with a proactive approach to safety.